The Martian invasion has left ruin in its wake, but mankind endures. 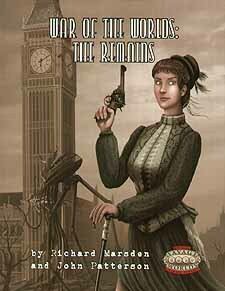 In the Edwardian Era, the great national powers complete for the Remains - the valuable technology of the defeated Martians. It is a time of fantastical machines in a world of rising tensions. Agents from the major powers operate at home and abroad in their quest to gather Remains, meanwhile, Mars is not done with Earth - not by a long shot.